Do you have an account with State Bank of India? State Bank of India is the largest bank in the public sector. The bank offers numbers of facilities for the customer's convenience that make it the leading bank. You must be using the ATM card most frequently. For prolonged use, the ATM card may get damaged. You would probably not like any interruption in the transactions or withdrawals. You need to replace the damaged ATM Card. Do you know the procedure to replace the ATM Card? There are three ways of replacing damaged SBI ATM card. First block old sbi debit card online and follow the steps given below. Step 1: Visit official page of SBI Online Banking. Enter the internet banking credentials to log in to the account, i.e., Username and Password. 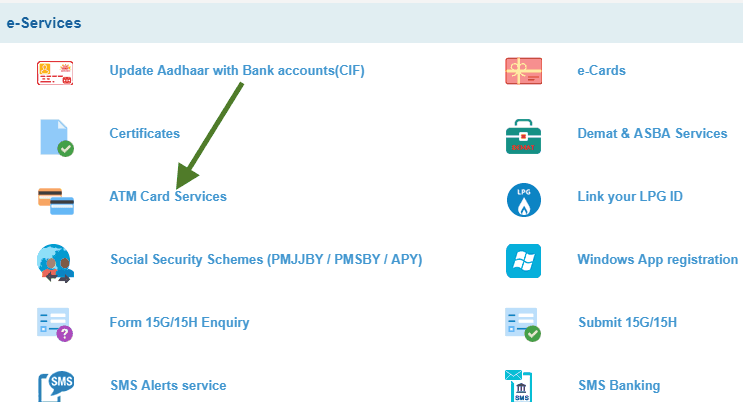 Step 2: Click on e-services featured in the menu bar at the top of the page. Step 3: Select ATM Card Services from the drop-down menu. Step 4: The screen will display several options in a list, and you need to click on Request ATM/Debit Card. Step 5: You will receive an OTP on your registered mobile number, and you need to enter the OTP in the provided box to validate your request. To validate the request you can also select 'Profile Password' and enter the same to proceed. 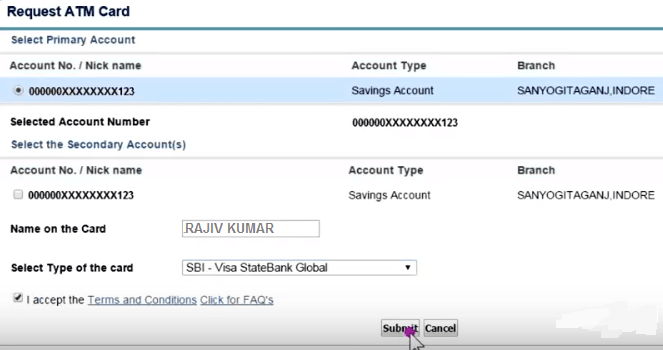 Step 6: Now you need to enter the name of the primary account holder. You also need to enter the type of ATM you want. You must provide the correct info and select relevant options as required and accept the terms and conditions. Now click on Submit button. Step 7: The details provided by you will get displayed on a new page, and after going through the provided details, you need to confirm it and click on 'Submit' button. The bank will receive your request for processing a new debit card, and you will receive the new ATM Card within seven working days at the provided mailing address. Visit the SBI Branch. If your account is KYC compliant and you are the single account holder, you can get the damaged SBI ATM Card replaced within two minutes. You need not wait for seven working days! Visit the SBI in Touch Branch. You have to request one of the executives at the branch for ATM Card replacement. The executive will help you to use the Debit Card Printing Kiosk. You need to enter the account details in the Kiosk. You also need to validate the account with the OTP as well as your biometric details. After completion of the process, you need to select the services you want. Select the services for replacing the ATM Card. The ATM card will get printed within two minutes. If you use SBI mobile banking app, you can get the damaged SBI ATM card replaced following simple steps. 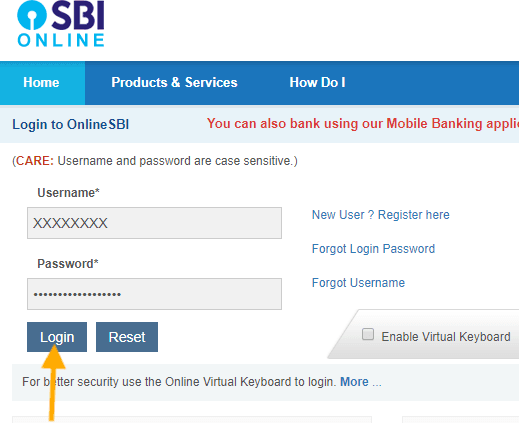 After you log in to the SBI Mobile application providing the login credentials, open the menu screen clicking on the Menu button featured in the top left corner of the screen. Click on 'Service Request' from the featured list. Now enter the card number which you want to replace. You will receive the new ATM card within seven working days. You have to pay Rs 100 + GST for ATM Card replacement via Online Banking and Mobile Banking. The fee to replace ATM Card via SBI in Touch Branch is Rs 354. Prefer the option that suits you well!